Kids and stomach bugs are a common combination. The key is to keep them hydrated! But sometimes when you have a fussy sick child, shoving pedialyte pops or liquids which can taste weird to a sick child and may not be as easy as it seems. Some kids are easier than others. My oldest is still the fussy sick child while my youngest will eat any medicine like candy Well, i’m sharing with you some of my tried and true tips on feeding the stomach bug. 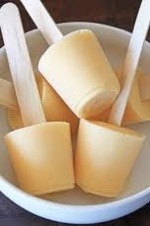 I hope you enjoy the delicious homemade pedialyte popsicle recipe too. They are grown up approved also. Stomach Bug Don’ts : Rule #1 Don’t panic! Even if your child is throwing up and having diarrhea. Dehydration is very real, but it takes some time before a child gets dehydrated. In worse case scenario, if your child is refusing any fluid, has become very weak, having projectile vomiting accompanied with high fever call your doctor or check into to the ER. These conditions however are extreme so please take appropriate action. Make sure the family member who has the stomach bug…Avoids any kind of milk product including, cheese, yogurt, etc until symptoms of vomiting and diarrhea have passed. Dairy seems to irritate the bowel. Avoids Spicy, high fat foods like fries, chips, fast food – especially pizza. Avoid Sweet Sugary Drinks. Empty calories and sugars can aggravate a stomach bug. Avoid Caffeine like Chocolate, Sodas, etc… . Stomach Bug Friendly Foods: If there’s no vomiting for 6- 8 hours, introduce bland, mild foods gradually. But do not force any foods — your child will tell you when he or she is hungry. Saltine crackers, toast, broths, or mild soups (some noodles are OK), mashed potatoes, rice, jello, applesauce, banana, bread are good soothing foods. Oral Rehydration Tips: For Kids 1 Year and Older (in cases of extreme vomiting and diarrhea) – Give clear liquids in small amounts ranging from 2 teaspoons to 2 tablespoons, or up to 1 ounce or 30 millilitres depending on how much your child can tolerate, every 15 minutes. Appropriate clear liquids include: ice chips or sips of water, flavored oral electrolyte solutions, frozen oral electrolyte solution or pedialyte pops. 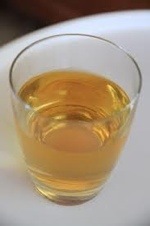 Here is a great recipe for homemade pedialyte which is quite yummy and will save you money. Please note: If you are making this for an infant (0-12 months) skip the honey since it can lead to infant botulism. I personally would recommend homemade pedialyte for children above age one only. Mix everything till dissolved. Makes 12 ounces of clear pedialyte solution. Mix 3 ounces pedialyte with 1 ounce of clear fruit juice. Freeze in ice cube trays with a toothpick stuck in it or in popsicle molds. Be creative with these Good combinations…Homemade Pedialyte solution (12 ounces) + juice (4 ounces) such as apple, white grape, clear strained baby juices are the best). You can get fancy, by swirling some beet juice or pomegranate juice for red swirls or freezing 2 different combos of pedialyte ( see picture above). This is done by freezing the first part and then adding the top half once the mixture has frozen and refreezing it. Plain or fancy, your kids will love this. a great snack for when they have sportsy moments and games to help them re-hydrate. If using homemade pedialyte, use unsweetened kool aid to add some flavor or color if you wish. Just a note : Making food fun for kids is time consuming but has great rewards ! Also remember the most important thing when you or your child has a stomach bug is to stay hydrated!